Why vinyl windows from Therm-All? 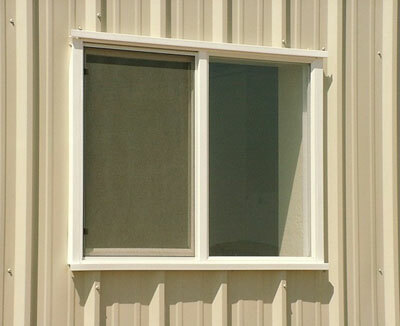 Not only are they self-flashing and self-framing, but our vinyl windows are designed specifically for metal buildings. When value-engineering a project, you can save money by substituting aluminum windows with vinyl windows. Additionally, vinyl windows will help achieve the aggressive U-values required by the latest energy codes. Aluminum windows can’t deliver the same guarantee. Call your Therm-All representative, dial 888-2-INSUL-8, or send an email to info@therm-all.com for more information about our vinyl windows.